The Modern Workplace: The DOL Final Rule – Finally! The DOL Final Rule – Finally! Last week, the U.S. Department of Labor (DOL) released the long-awaited Final Rule on white collar exemptions which will go into effect December 1, 2016. The Final Rule significantly increases the minimum weekly salary amounts required for most exempt employee statuses and also increases the total annual compensation amount for the exempt category of highly compensated employees. While the Fair Labor Standards Act (FLSA) requires most employers to pay mandatory minimum wages and overtime pay to employees, certain employees are exempt. These exemptions generally require employers to pay a minimum salary and the employee to perform certain primary job duties. Cha-cha-Changes . . . . The minimum salary for most exempt categories is currently $455 weekly or $23,660 annually. Under the new Final Rule, the new minimum salary for the exempt categories of executive, administrative, and professional employees will be doubled to $913 weekly or $47,476 annually. This new minimum weekly salary will also be adjusted by the DOL every three years to correspond with the new 40th percentile of federal data on low pay wages, beginning January 1, 2020. The new Final Rule also changes the required total annual compensation for an exempt highly compensated employee. Prior to the Final Rule, the total annual compensation required for an individual to be classified as a highly compensated employee was $100,000. The new total annual compensation requirement is $134,004, which will also be adjusted January 1, 2020. Raising salary levels to bring the position’s salary to the required level. Reclassifying employees from exempt to non-exempt (which would mean the employees would be eligible for overtime pay). Scrutinizing the hours worked by all employees, including employees currently categorized as exempt, to determine whether and how much those employees are working beyond 40 hours per week. 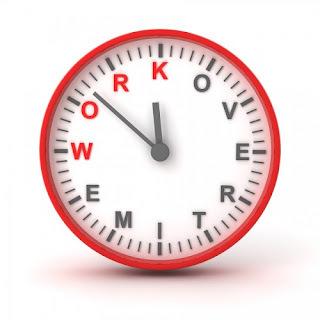 If reclassifying exempt positions to non-exempt will result in new overtime pay obligations, employers can limit overtime costs by adopting policies to limit overtime work hours. Alternatively, an employer might hire additional employees or redistribute job duties to more than one employee to minimize overtime hours and corresponding pay requirements. Employers can also consider wage rate changes for employees. So long as a non-exempt employee makes at least minimum wage for all hours worked and an employer satisfies any contractual pay obligations, wage rates can be prospectively changed to reduce the cost impact of the Final Rule on positions that may need to be reclassified as non-exempt. Before changing pay, though, be sure that there are no contractual pay obligations to an employee that might be violated by the proposed pay change. Please visit our client alert for a more detailed analysis of the Final Rule, as well as our previous posts on FLSA Fundamentals.